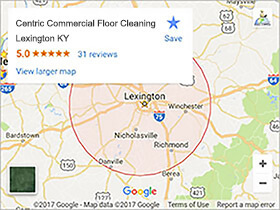 Centric Cleaning provides floor stripping and waxing services for business owners in Lexington KY. Our service area for floor stripping and waxing also encompasses Georgetown, Frankfort, Versailles, Richmond, Nicholasville and the rest of the Blue Grass area. 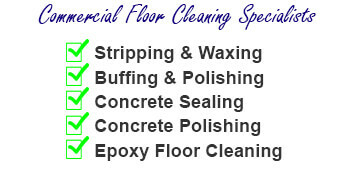 Our experience and attention to close details has earned us the reputation as the go to source for stripping and waxing needs in the East and Central KY areas. No floor is to big or small for us to tackle. We begin our process by removing everything from the area that will be getting stripped and waxed. Then the entire floor is cleaned and we remove all of the loose debris. Next we take steps to protect any floors that will not be getting waxed such as carpet or wood that happen to be joined to the floor being waxed, this may include thresholds. We will use tape or a similar protective covering to achieve this. Before we begin the commercial floor stripping and waxing process wet floor signs are placed strategically around the subject area. Then the stripping process takes place. We use industry approved strippers that are environmentally safe and properly mixed. They’re applied with a mop and allowed to dwell on the floor to break down the existing build up of wax and embedded dirt. After a prescribed waiting period we use our industrial grade floor cleaning machines with a stripping pad that is appropriate for the floor surface we happen to be doing. Different surfaces call for different types of pads and we keep a wide assortment of them in our service vehicles. It doesn’t matter what type of substrate your floor is we can clean it safely. After the floor is properly cleaned we rinse it twice with a neutralizer then we remove the left over rinse water/solution with a wet vac and mop. Once the floor has adequate time to dry we apply a sealer and the finishing wax. Typically this is done with a industrial grade mop. It’s not a complicated process, we do it a section at a time and work our way over the entire floor making sure that we don’t wax ourselves in. It’s important not to walk on the fresh wax finish until it’s had a adequate time to dry which normally is around 30 minutes. All said, we will install between 4-6 coats of wax depending on the job. We like making it easy for our Lexington KY and surrounding area customers to get competitive pricing on our stripping and waxing services. 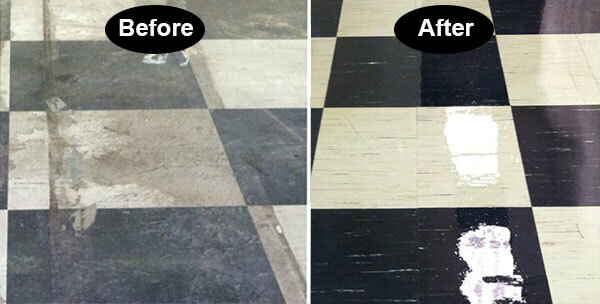 Floor cleaning is an art and we feel as though we have it perfected. Please use our Contact Form below, or if you would like to speak to one of our representatives directly just give us a call. Estimates are free and we have references that we’ve worked for multiple times here in the Lexington KY area that can attest to our skills and reliability.